Looking for a fun Valentine's Day activity or party game? 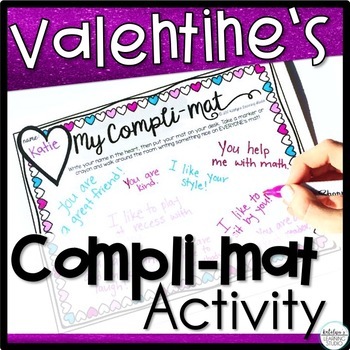 This Valentine's Day Compli-mat Activity is perfect for students to practice giving compliments and building classroom community! 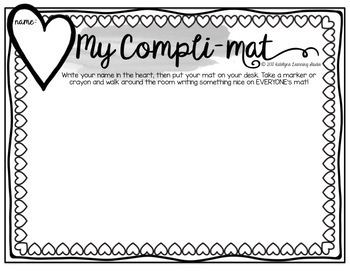 Students travel around the room writing compliments on their classmates' compli-mats. 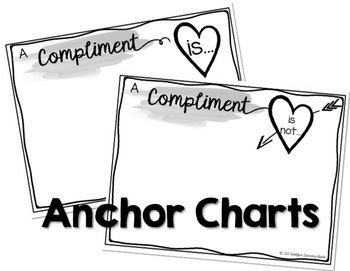 Also included is a compliment lesson activity to teach what a compliment is and isn't. This is perfect to use before the compli-mat activity to prevent bullying or hurt feelings. 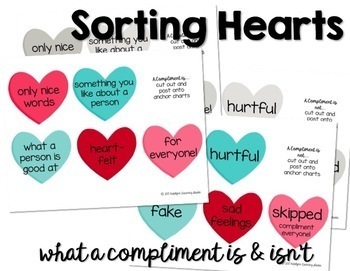 Students sort phrases that describe what compliments are and are not.